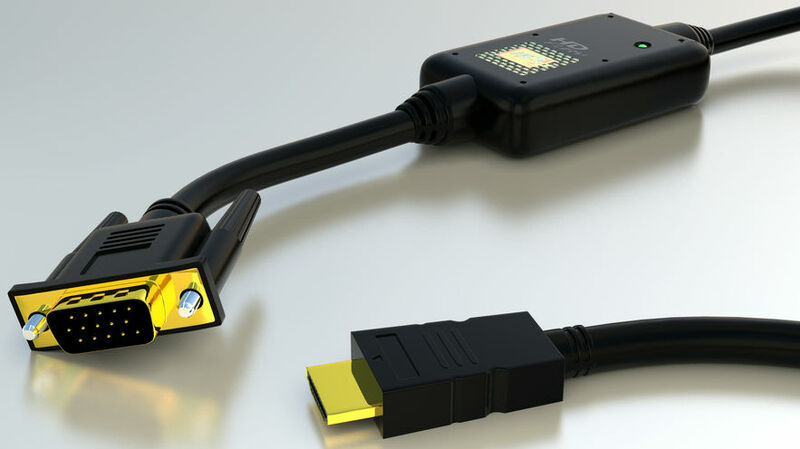 World’s First and sole All In One cable solution to connect HDMI sources to RGB displays ! The global phenomenon that is HDfury is now available in a brand new shape: The Gamer Edition ! HDfury Gamer Edition is a straight HDMI to VGA cable that includes an embedded HDfury module. World’s First and Only One PLUG and PLAY solution ! HDMI straigh to VGA ! All in One Cable ! A power supply cannot be added to the HDfury Gamer Edition cable due to the all-in-one sealed design. The HDfury Gamer Edition should therefore only be used when connecting a PS3 or Xbox360 Elite directly to a display device. We recommend that the standard HDfury with power supply be used for all other setups. If you are looking for ultimate quality and compatibility watch the brand new 2009 HDfury2, 2010 HDfury3 or 2012 HDfury4 !